Eight players have been campaigning on Twitter to be the EA Sports NHL 15 cover athlete. 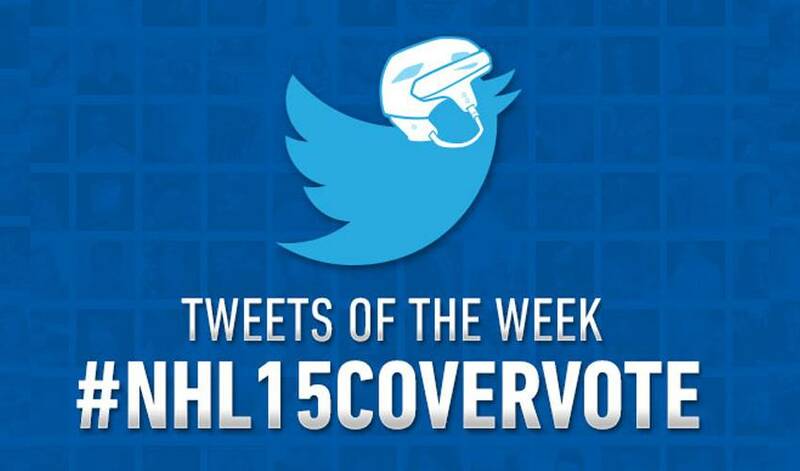 Here are the top #NHL15CoverVote tweets of the week. Phil Kessel, P.K. Subban, Patrice Bergeron, Erik Karlsson, Logan Couture, Drew Doughty, Matt Duchene, and T.J. Oshie are the 8 NHL players in the running to become EA Sport’s NHL 15 cover star. Currently in the quarter-finals, the 8 players are campaigning to fans across social media, using photos and videos to prove why they deserve cover athlete status. QUIZ: For a chance to win a @Logancouture bobblehead, what is the max number of times per day you're allowed to vote #NHL15Couture? The quarter-finals end on Sunday, May 18th with 4 players moving on and being paired up in the semi finals. Use one of the following hashtags in a tweet or Facebook post, which counts as a vote. Remember that every vote counts as 2 votes on Thursdays!